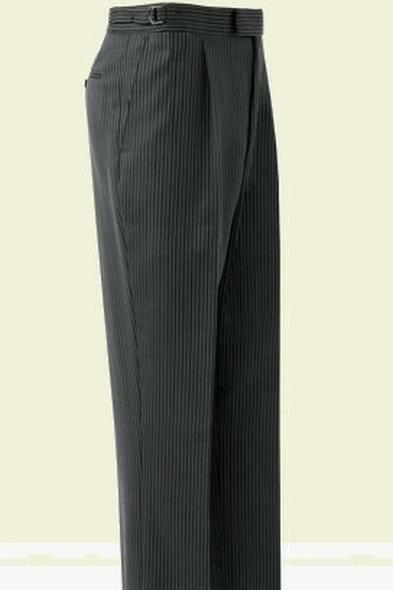 Regular style black/grey stripe morning trouser. Side adjusters and belt loops. Machine washable to 40 degrees.